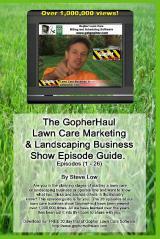 « How to deal with seasonal out of state mulch suppliers and installers. 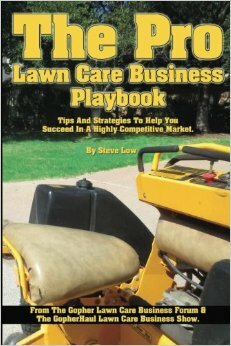 Why I bought a lawn care franchise and why I am moving on from it. 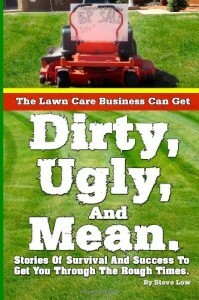 Are you having a hard time figuring out what you need to do to get your lawn care business started? Have you found yourself running into dead ends when creating your business plan? Well you are not alone. 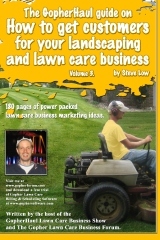 Planning out how to get your lawn care business started can be really difficult. 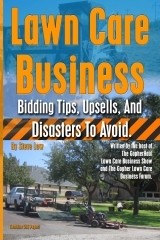 For some entrepreneurs who have a hard time getting their plan together the option of buying into a lawn care franchise may become inviting. 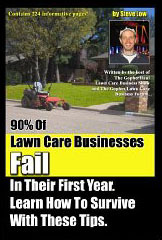 There are upsides to buying a lawn care franchise and downsides as well. 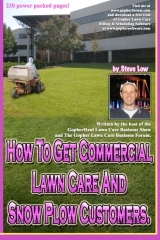 Let’s check out this discussion from the Gopher Lawn Care Business Forum to see how these pros and cons effected one lawn care franchise business owner. There are some great lessons to learn from it. One lawn care business owner wrote “I have been in the commercial/residential lawn fertilization and weed control business for 3 years now and would like to start doing lawn maintenance. I already have a couple of opportunities to bid on some commercial mowing accounts due to the connections I made with my fertilization services. I think landing these accounts could really improve my bottom line. When I was first kicking around the idea of starting my own business I was unsure which way to go. The choice was narrowed down to either lawn maintenance or fertilization. So because I was really having a hard time deciding, I investigated and went ahead with purchasing a franchise lawn fertilization business that specialized in fertilization and weed control. I thought by doing this it would give me a better chance at surviving. 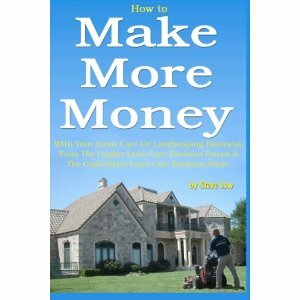 A few years later I have definitely survived and thrived and now I would like to expand the services I offer. 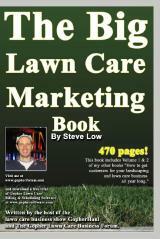 I want to become a provider of total lawn care packages. 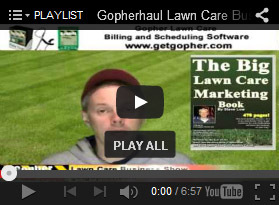 Basically a one stop shop for everything your lawn could need. From my experience I have learned franchises are better able to survive, however, they come with alot of restrictions and fees. Looking back I probably would have done it different now, in hindsight. I do like the fact that they have a proven business plan and a road map of how to get where you want to be. They already have business partnerships with other companies that help you do your marketing, insurance, licenses, software, etc. However, it is at a cost. Nothing is free. With franchising you get help to start a business but sometimes it feels like big brother is always watching over your shoulder. You do not have the freedom to offer services that are not approved by the parent company. To work around this, I am trying to start another business seperate from my franchise that I hope in the future I can blend together into one business that I own without any franchise involvement. 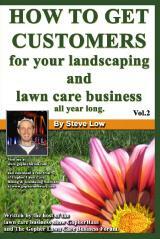 I also have learned that residential lawn care customers seem to prefer one provider for all their services. I think they like to limit the number of service personel on their property. Since I service a lot of customers with my fertilization, I get asked to provide lawn mowing as well. All the customer feedback I have gotten has led me to want to offer a one stop shop to include mowing, fertilization, disease control, insect control, top dressing, aerating, etc. The best skills that I have picked up from my fertilization business is the ability to diagnose lawn problems and be able to offer solutions. I am licensed for herbicides, insecticides and fertilizer. 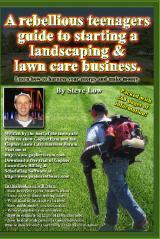 I go to turf clinics and do online classes to stay up to date on the latest chemicals and turf practices etc. 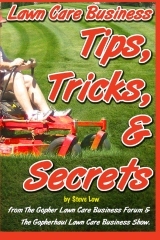 I offer soil testing as well as turf testing for funguses and other diseases. By offering all theses services I think I can maximize my revenue per customer, thereby, reducing the time and money spent on constantly trying to add new customers. Learn how to improve your lawn care estimating with these lawn care estimators for Android phones. 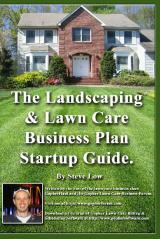 This entry was posted on Tuesday, September 27th, 2011 at 11:35 pm	and is filed under Business Plan, Fertilization, Franchise, General Business, Growth, How to get, Lawn Care Business, Lawn Care Customers, Start up. You can follow any responses to this entry through the RSS 2.0 feed. You can leave a response, or trackback from your own site.